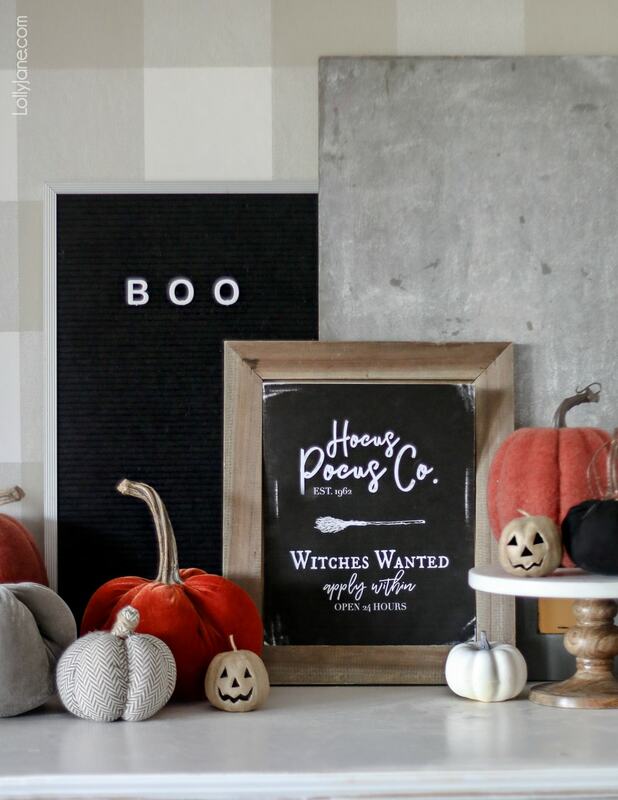 Spruce up your spooky spaces with FREE Printable Halloween Art! 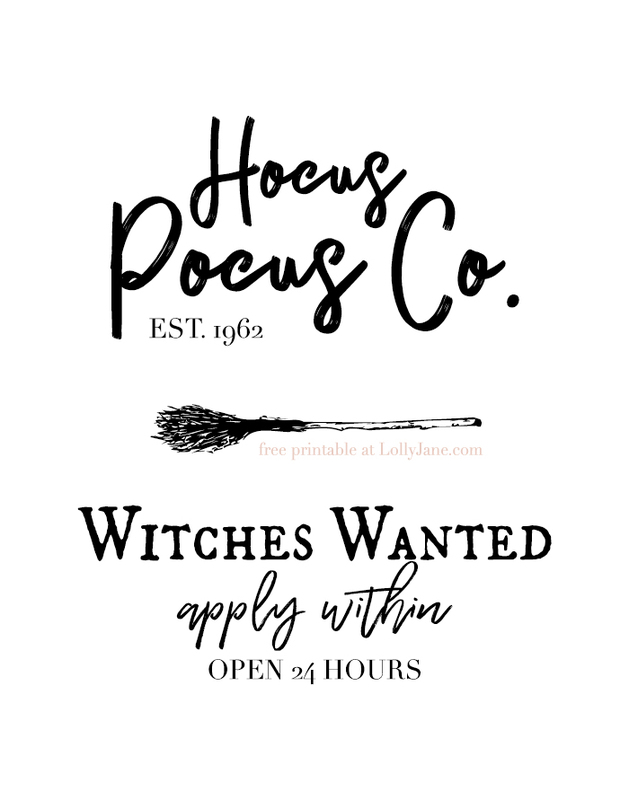 Use this cute “Hocus Pocus Co.” as a halloween invitation, a thank you card, or to simply display with some pumpkins to make an easy (and free!) halloween vignette! This is the first year since becoming a mom 8 years ago I’ve had my children’s Halloween costumes DONE before October even started… I’m usually the mom at Target or on Amazon the day before, ha! 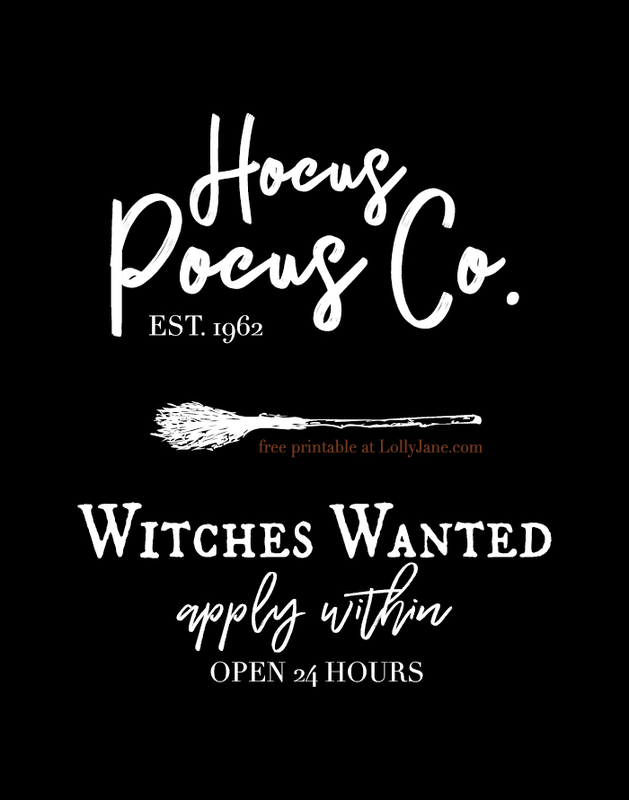 Since my kids have been running around as a creeper (from Minecraft) fighting Link (from Zelda) and saving Princess Peach (from Mario Brothers,) while watching Hocus Pocus, we are in all sorts of Halloween mode! So, I figured I may as well get my home ready, too. 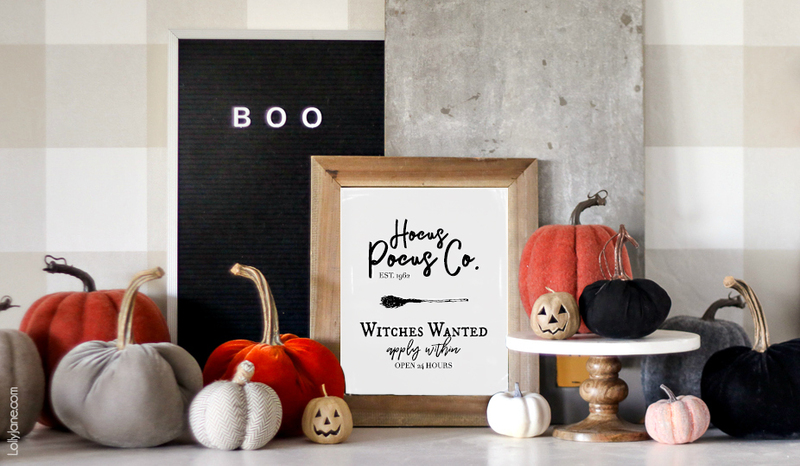 You may remember my recent DIY Fall Hoop Wreath that paired well with my buffalo check wall… I simply swapped it for October’s fun holiday by adding a letterboard with the word BOO on it + our new free Halloween “Hocus Pocus” printable art and BAM: Halloween vignette done. So, you have it printed… now what? There are TONS of possibilities but here are our faves… you can frame it, pin it, clip it, tape it, or tie it to a stick like we did last year’s free MacBeth/Shakespear’s Halloween “Toil Toil” Printable Art. For Halloween, you can use it as the cover for an invitation, tie to party favors, or simply add it to a festive table of treats for instant spook appeal. Hope you enjoy! Printing art is the most affordable and easiest way to bring any holiday into your home! Especially when it’s freeeee! ? 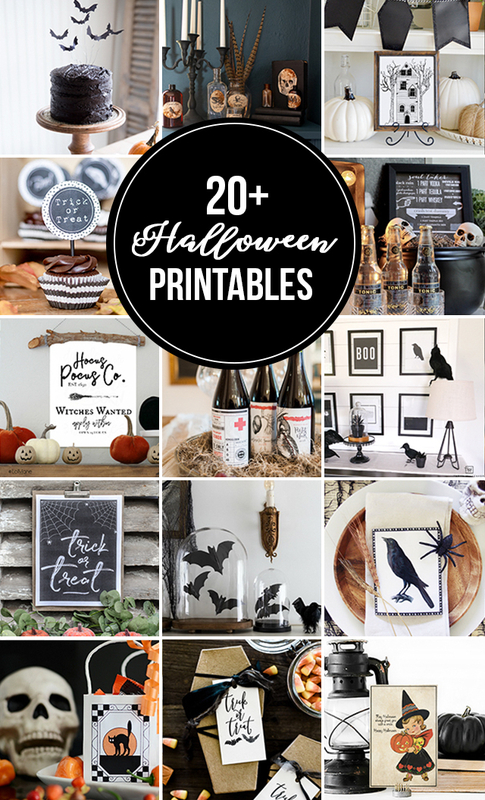 Check out 20+ more Halloween printables from our creative friends! Previous Post: « This mini peach crisps recipe rocks! This is awesome, Kelli & Kristi! 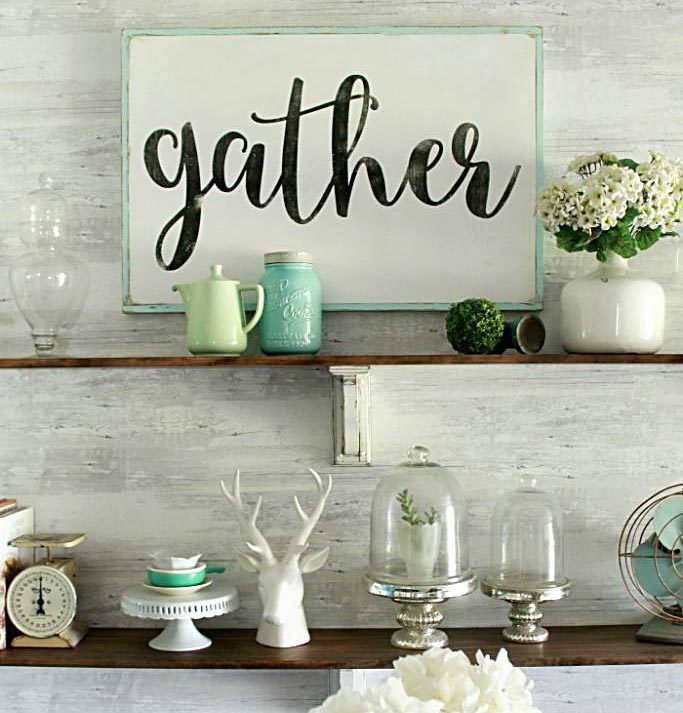 I always love your printables! Hi Jamie! Thanks, our sweet friend! I love this! I am going to be downloading it myself later. And, by the way, I haven’t even begun to think about my kids costumes??. I’ll be at Target the day before I’m sure! Just printed these on card stock! Giving one to my daughter for her first Halloween in her new house! Oh yay!! Thanks, Renee!! So glad!